BELGRADE – On the last day of the Holy Synod of Serbian Orthodox Church the Synod of Bishops has appointed bishops for the vacancy spots, reported RTS. Two dioceses have been filled, and others, out of important practical reasons, are still led by administrators. The retired bishop Vasilije Kacavenda has been replaced by bishop of Bihac and Petrovac Hristozom, the statement from the Bishop of Backa Irinej said. In the place of bishop Hristozom was appointed Vicar Bishop Hvostnaski Atanisije Rakita, and Bishop Jovan will still be the administrator of the Zicka diocese. For administrator of the Central Europe has been confirmed Bishop Irinej, for the administrator of Zicka diocese Bishop Jovan from Sumadija, for the administrator of South Central American diocese Metropolitan of Montenegro and the Littoral Amfilohije. Deputy of Metropolit Dabro-Bosna Nikolaj will still be bishop of Zahum and Herzegovina Grigorije. Members of the Synod in the new composition are Bishop of Srem Vasilije, Bishop of Sumadija Jovan, Bishop of Zvornik and Tuzla Hristozom and Bishop of Raska and Prizren Teodosije. 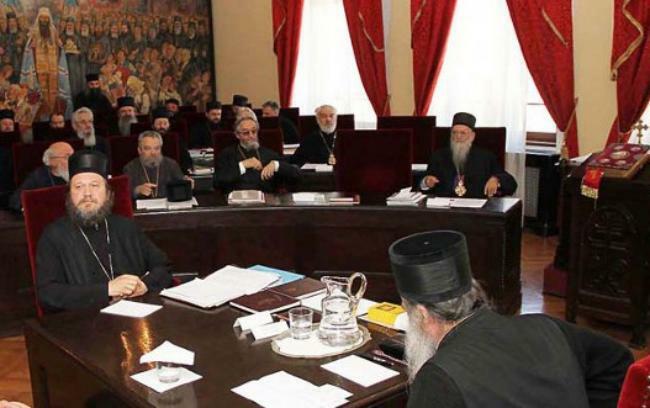 On Saturday was finished the working part of the Holy Synod of Bishops of the Serbian Orthodox Church, which began on May 21. Among the most important decisions of the Synod was the retirement of the Bishop Kacavenda.